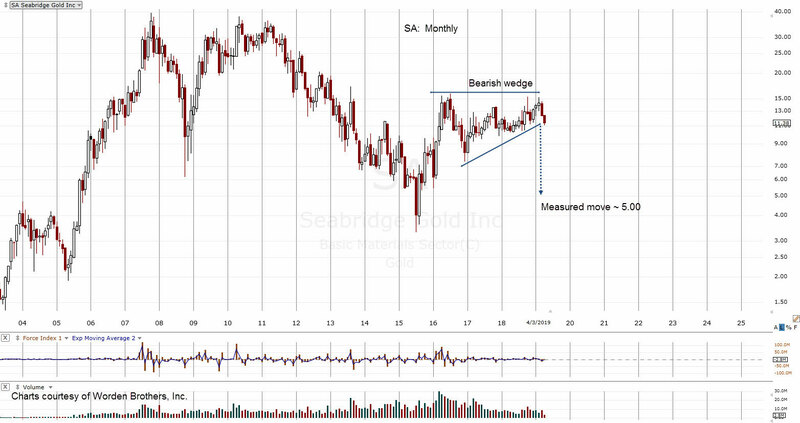 Seabridge appears to be breaking lower after a years-long wedge formation. The chart shows bearish price action since early 2016, now breaking lower. If SA gets to this area before or during December of this year, it may present an excellent ‘tax loss’ candidate. If so, the trade may be a long entry for a January bounce or possibly a longer time-frame.